Hepatic hemangiomas are the most common benign tumor of the liver and the second most common tumor following metastases. The diagnosis and management of hepatic hemangiomas has improved significantly for the past decade. The decision to treat this tumors surgically should be based mostly on symptomatology, inability to exclude malignancy, documented growth and less on feasibility for resection or patient anxiety. The decision for observation should be based on a thorough examination of asymptomatic tumors with benign characteristics on imaging. 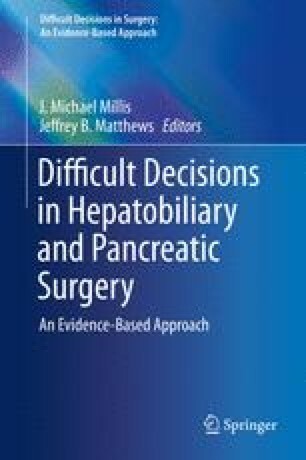 The surgical treatment of choice has evolved from formal hepatectomies to selected enucleation with improvement in outcomes regardless of the size of the lesion. Minimal invasive techniques have similar results as open surgery in appropriately selected patients with no difference in morbidity and mortality.